If there isn't already one, I want to start a list of on-line 'resources' for DIY 1090 equipment builders. Below is the 1st entry. If you find any that you think are worthy, please add a post with the URL. Or message me with the URL, and I'll edit it onto this start-up post. 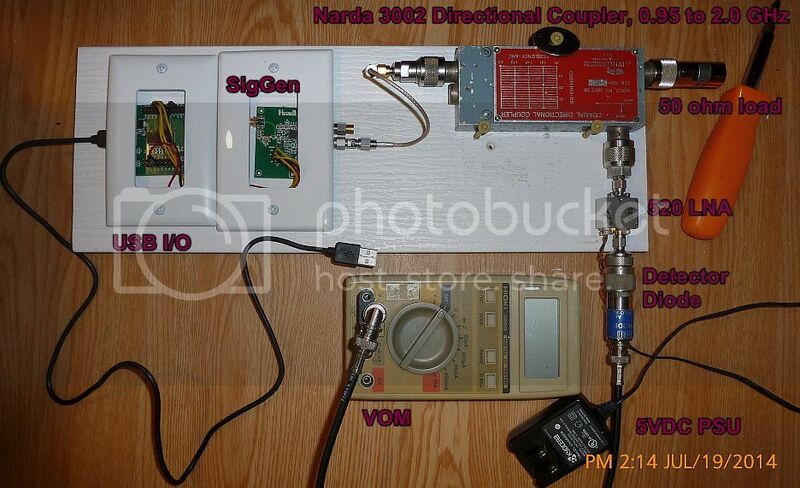 Here's a link for those interested in building Yagi antennas for 1090 MHz. Huumnm, I didn't see any info there about matching the driven element (DE) to the coax..
"The stacking cables are made of odd multiples of λ/4-coax-cables (3/4-, 5/4- or 7/4-λ). They use the transformation attribute of an electrical quarterwave-line. This can be a coax-cable or power splitter." I've been testing small antennas and found one that seems pretty good. A question came up about stacking these small antennas, one above the other, to increase gain by 3 dB. but I think stacking with 75 ohm coax cable transformation lines would be the best way to stack two very-small-collinears. and the two 75 ohm matching sections would use low cost TV 'F' connectors on both ends. I can build these antennas using a TV 'F' connector attached at the 50 ohm feed point. (see pic below). Or solder the 75 ohm cable directly to the antenna. (Once the correct 75 ohm cable length is known). I can tune these antennas to a 50 ohm match using my SWR test set..
by terminating the antenna end (of both sections) with a standard 50 terminator. When the 75 cables are cut correctly, the SWR will be at it's lowest.